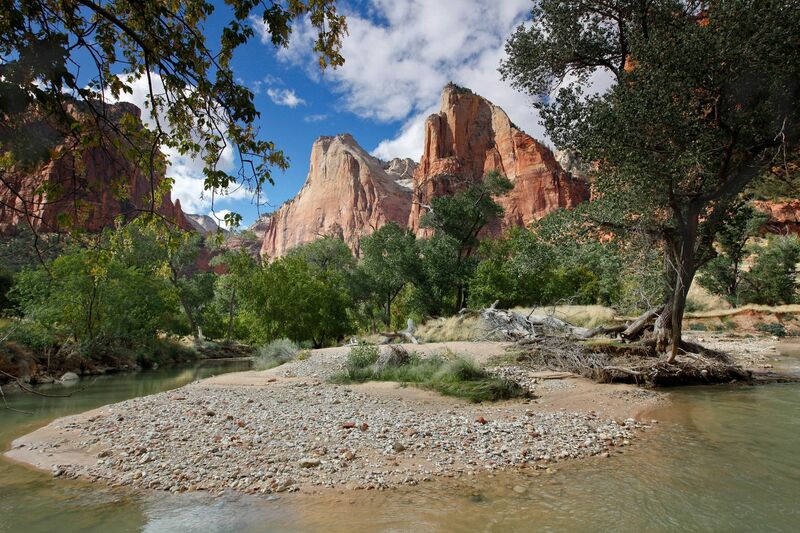 The Court of the Patriarchs, Zion National Park near Springdale, Utah, are sandstone cliffs named after three Old Testament characters. They hold court over Birch Creek Canyon and that section of the Virgin River. In 1916 Frederick Vining Fisher, a Methodist minister, gave the religious names to the peaks.